Si in Terrestrial Plants: The amount of Si exported from terrestrial to aquatic systems has important repercussions for marine ecology and carbon dynamics on a global scale because diatoms, one of the abundant types of phytoplankton in coastal waters, require as much Si as N on a molar basis to survive. It has long been known that geochemical factors (climate, lithology, etc.) serve as large controls over Si export to coastal systems. However, terrestrial plants also contain large quantities of Si. Based on previously published values of net primary production and Si concentrations in aboveground plant tissue, I was able to quantify the amount of biogenic Si (BSi) sequestered in land plants each year (84 Tmol Si yr-1), and identify the major biomes in the world where Si accumulation is the greatest (e.g. cultivated lands, wetlands, tropical forests). Human-appropriated Biogenic Si: Agricultural crops often contain high concentrations of Si. In turn, more than a third (35%) of the total BSi contained in terrestrial vegetation can be attributed to agriculture and thus, is used directly by humans. We coin to this BSi in agricultural crops "human-appropriated biogenic Si (HABSi)". In a recent project, we quantified how agriculture has altered the amount of BSi created on land between 1961-2012. We found that BSi production by the top 10 crops tripled globally, significantly increasing the size of the relatively labile BSi reservoir on Earth. Land Cover and Riverine Si Export: Because different types of vegetation contain different amounts of BSi, land use/land cover has been shown to be a large control over DSi export at the regional scale. My dissertation presented data from 25 watersheds across Connecticut (CT) and Massaschusetts (MA), demonstrating that forested watersheds export significantly less dissolved Si than urban watersheds. In addition, high-frequency data from four MA rivers allowed me to estimate forest Si uptake rates for New England, providing evidence that terrestrial biological processes have the ability to control aquatic Si cycling. 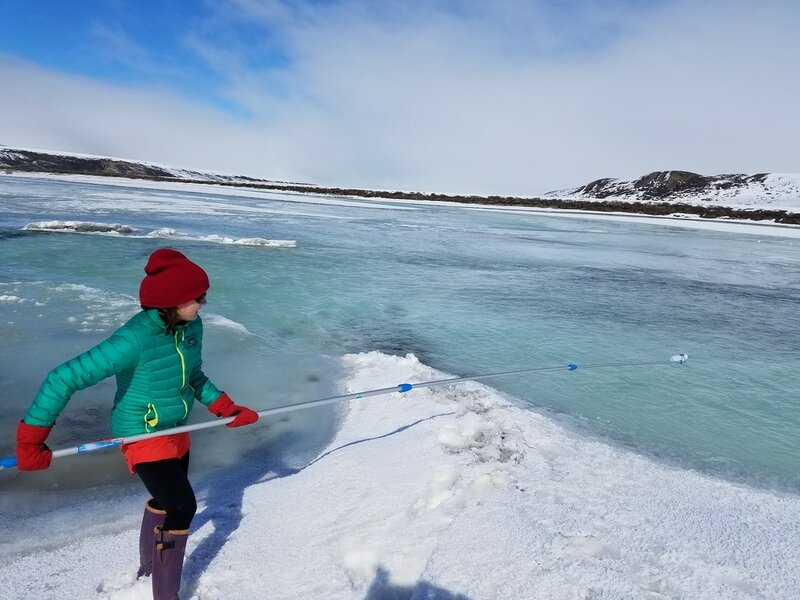 I am now applying many hypotheses derived from temperate ecosystems to the Arctic, where I continue to examine the mechanisms driving Si export, and the ways by which human activities and climate change alter net Si fluxes to the global oceans. Salt Marsh Si Biogeochemistry: Tidal wetlands are large reservoirs of Si at the borderland between land and sea, and research suggests that marsh tidal exchange can exert large controls on Si availability in coastal systems. Focusing mostly on Narragansett Bay (RI) marshes, we were able to create Si budgets for five New England salt marshes, determining the mode of Si accumulation in marsh grasses, and examining how nitrogen (N) availability alters Si cycling in these dynamic ecosystems. In addition, a net Si exchange study highlighted that New England salt marshes can actually serve as both sources and sinks of Si in coastal systems. In a collaborative project with the USGS and WHOI, I am continuing to investigate the drivers of marsh Si export and retention in New England. Accretion Rates: In a collaborative study examining accretion rates in Narragansett Bay, my colleagues and I found that salt marshes are currently (2011) not keeping pace with relative rates of sea level rise in the same manner in which they were three decades ago.This work facilitated me working closely on a project with partners at Connecticut College, EPA, and the Narragansett Bay NERR to evaluate changes in marsh elevation in two marshes in Little Narragansett Bay, where we found contrasting rates of elevation change over a 20 yr period. These papers are part of a larger thematic issue in press in Estuaries and Coasts, focused on evaluating anthropogenic impacts to marshes in southern New England. Marsh Warming Experiment and Net Greenhouse Gas Exchange: Salt marshes are typically large net sinks for carbon. However, increasing temperatures may shift the carbon balance in marshes. While a postdoc at MBL (2014-2015) I conducted a warming experiment on a Cape Cod salt marsh that examined how a warmer world will alter the net balance of the major greenhouse gases (CO2, CH4, N20) in these ecosystems. In this project, we used an open-top chamber (OTC) design to passively warm the marsh and cavity ring down spectroscopy to calculate net fluxes of the major greenhouse gases in both high and low marsh environments. Results of this project are in prep. 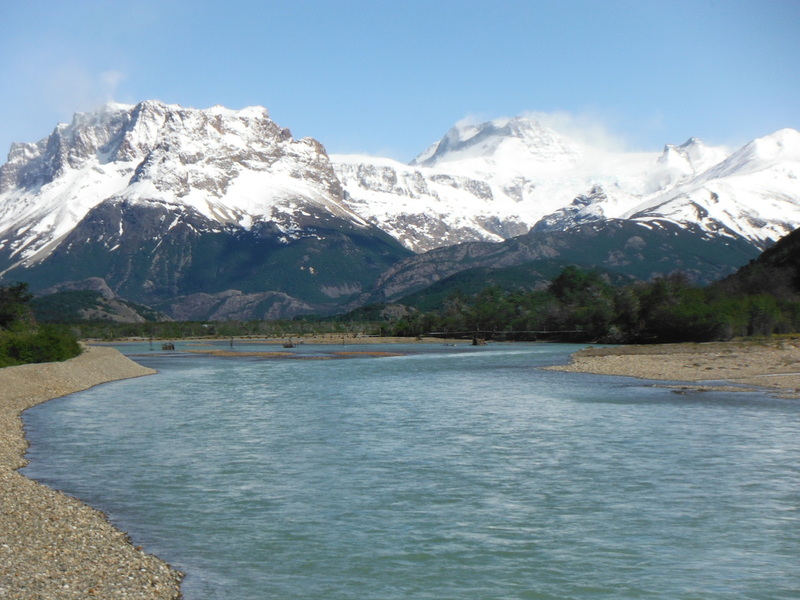 Funded by the USGS Powell Center, this synthesis project is aimed at advancing our understanding of ecosystem responses to climate change based on the results of warming experiments from a range of ecosystems globally. 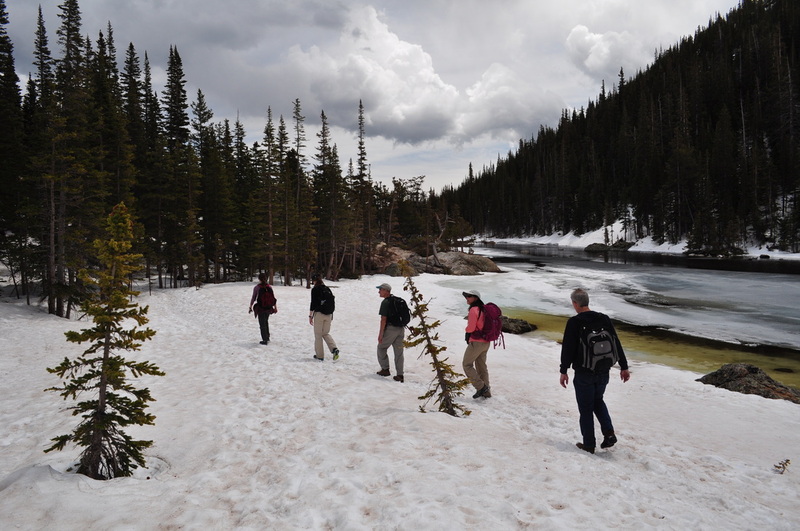 This project funded an international group of 13 scientists to meet in Fort Collins, CO in May 2014 and 2015 to discuss how to best conduct a meaningful synthesis study related to ecosystem warming experiments. With invaluable assistance from an inspiring group of collaborators, I generated and analyzed the largest known dataset of high frequency soil respiration data, encompassing data from 27 warming experiments and nine biome types around the globe. This dataset is allowing us to take novel approaches to evaluate the role of climatic change on soil respiration rates. Manuscripts related to this project were recently published in the Proceedings of the National Academy of Sciences and Nature.